And so went our mellow New Year’s Eve celebration at my cousin’s house, which used to be my grandma’s house, the one our mothers grew up in. My cousin is right, of course. New Year’s Eve is an entirely human construction, meaningful only because we attach meaning to it. Nothing special actually happens on New Year’s Day. It is just another day. The specialness is all in our heads. And yet, every year I feel compelled to stay up and count down the seconds until midnight, to kiss someone the moment the next year arrives and dole out exclamations of “Happy New Year!” to all within range. This year we found ourselves unexpectedly home in New Jersey, our plans not solidifying until evening. But it felt really right to be ringing in the New Year with a tiny group of people, most of whom I’ve known since birth, in a house that’s been occupied by relatives of mine for most of the hundred years it’s been standing. Just a day, in just a house. But just because the things that make that day and that place special are entirely in our heads–that doesn’t make them any less special. It makes them more so. We could choose any day to celebrate the passing of time, to have a fresh start, but we choose New Year’s because it’s symbolic–not just to you or me, but to people the world over. Things have meaning because of the people behind them. A year could start and end any time, really. And then there are periods of time that are not human constructs, but those constructed for us by nature. I’m talking about a shorter period of time than a year: a day. It’s easy to talk about what you’ll accomplish this year. But what about what you’ll accomplish today? This is so important. Saying to yourself “I will have x words written by June”, “I will take my DSLR out on weekends” or “I will run three times a week” does nothing for you today. Instead, write 1000 words today, take your camera out today, go for a ten minute run right now. Because right now is the only space you really live in. My goals for this year are predictable: to write more, eat better, exercise more, connect to more like-minded people on the internet by being more consistent with my social media platforms. But instead of leaving it at that, they are broken down into little things to be accomplished each day. 1000 words every day, exercise every day, even if it’s just a little, one tweet every day. And while you’re busy with all this goal-making? Don’t forget about the most important thing in your life, no matter what you do or where you are: the people. In addition to all these career-minded and self-improvement goals, I’ve added one more: to reach out to someone I care about every day. Most of those people are not people I’ll see every day–life drags us all apart, over time. But what if you were to be more deliberate about letting people know you’re thinking about them–just with a text–each and every day? It takes so little time, and it fills your days with the most important thing in the world: the people close to you. Because it’s people who give meaning to things, who make up the best parts of your days. Don’t lose sight of that, in 2015 or ever. 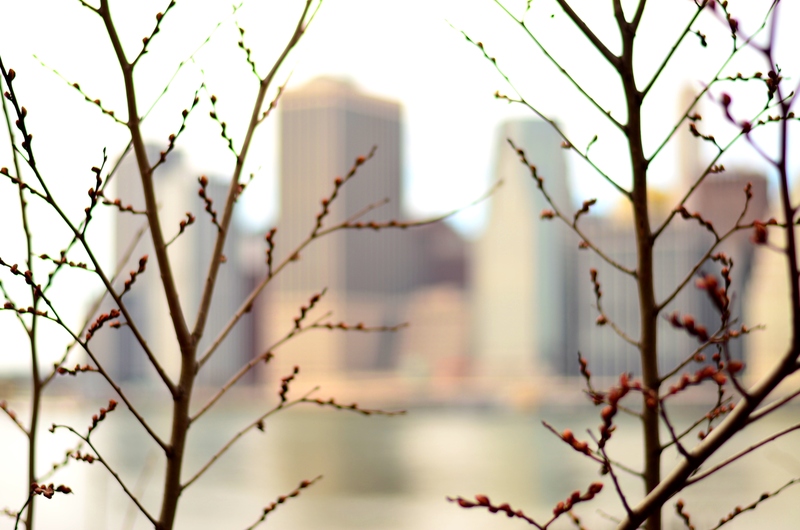 Above photo taken by me, of lower Manhattan from the Brooklyn Heights Promenade, last winter. Lovely post..some good points. I don’t think i’ve ever made a new years resolution..